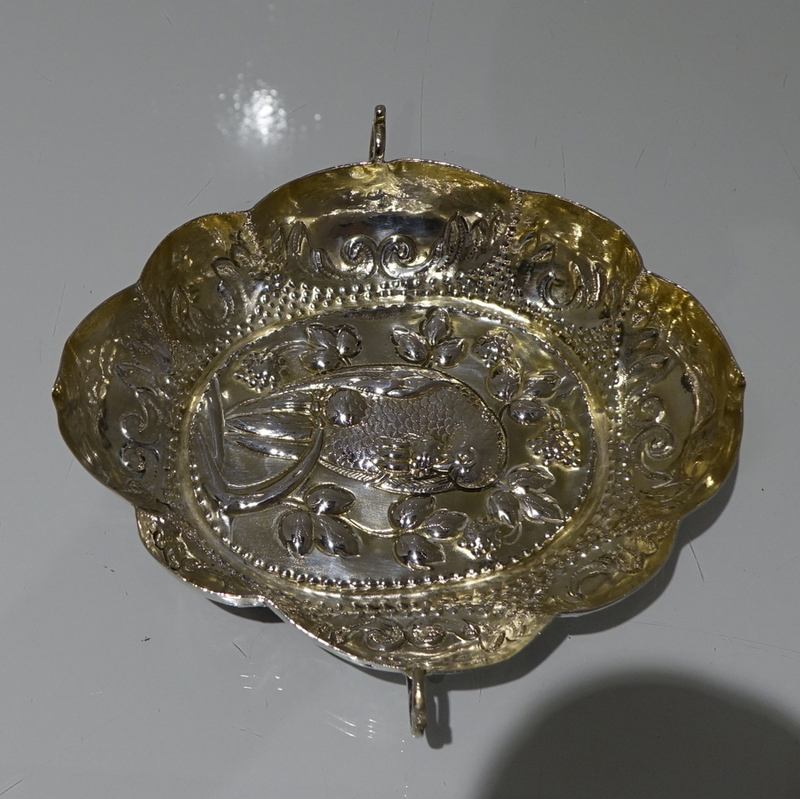 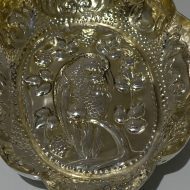 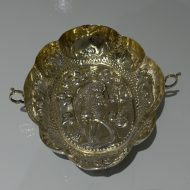 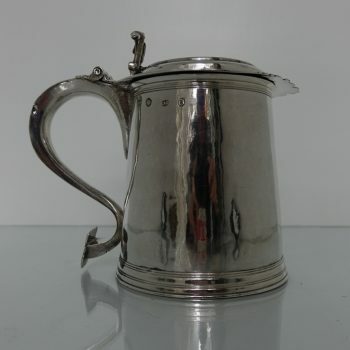 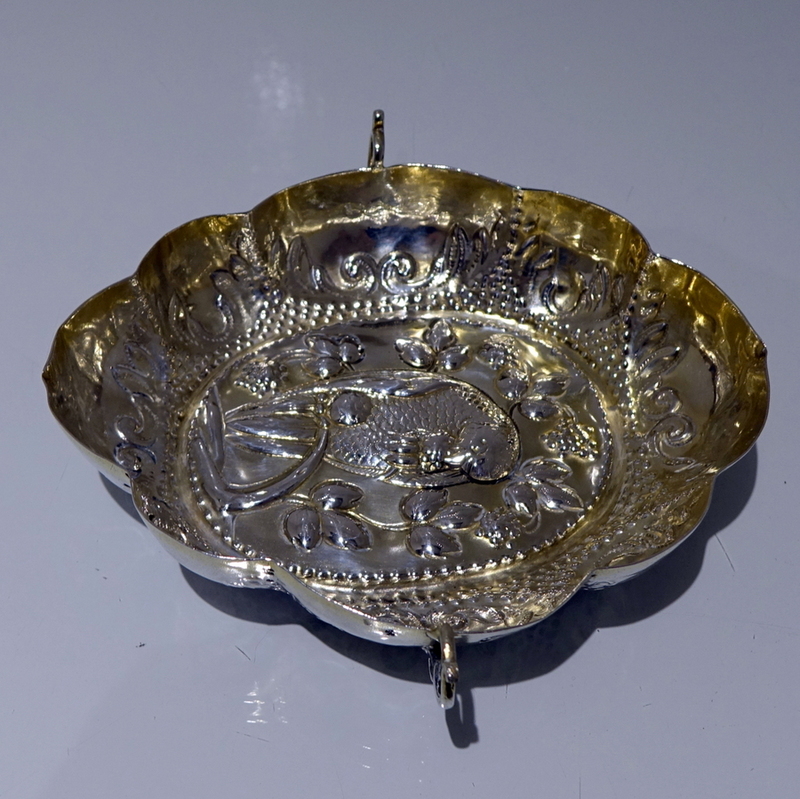 17th Century Augsburg silver wine taster. 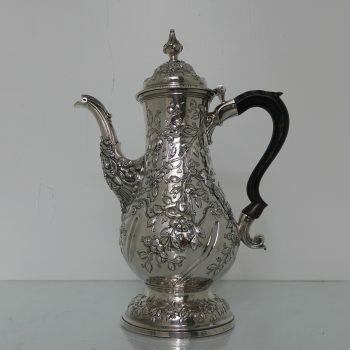 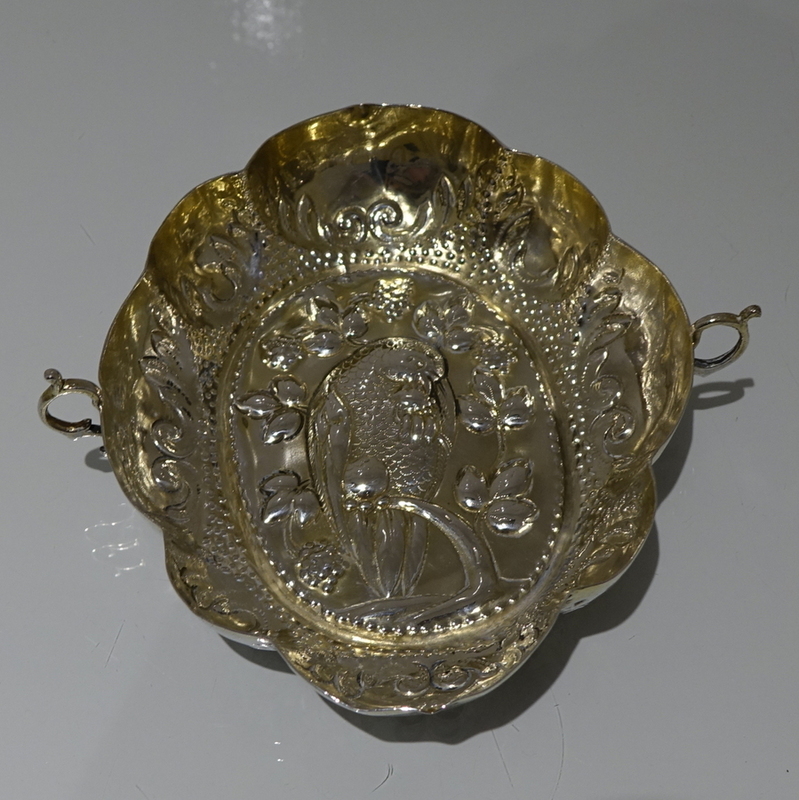 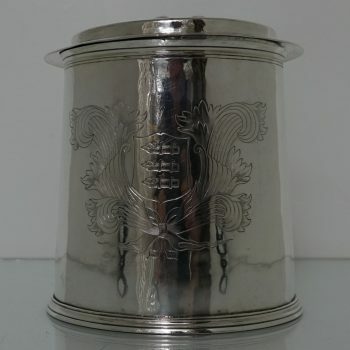 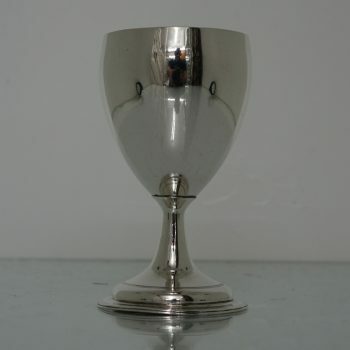 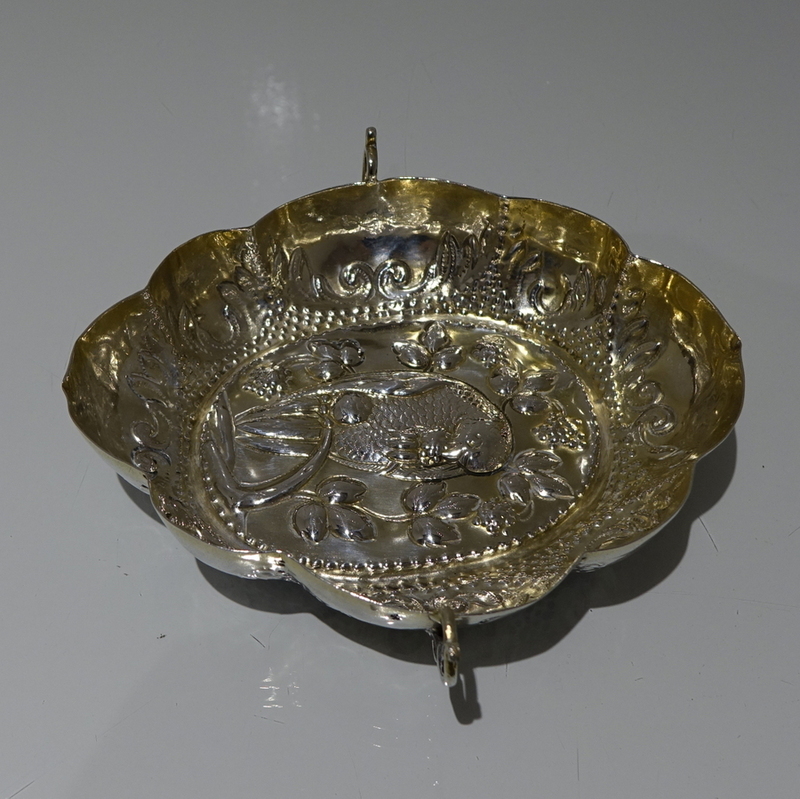 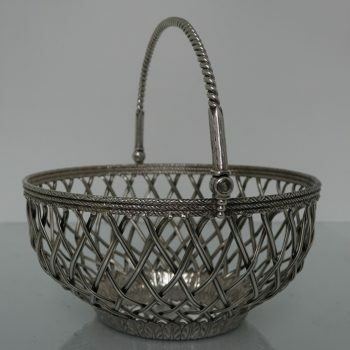 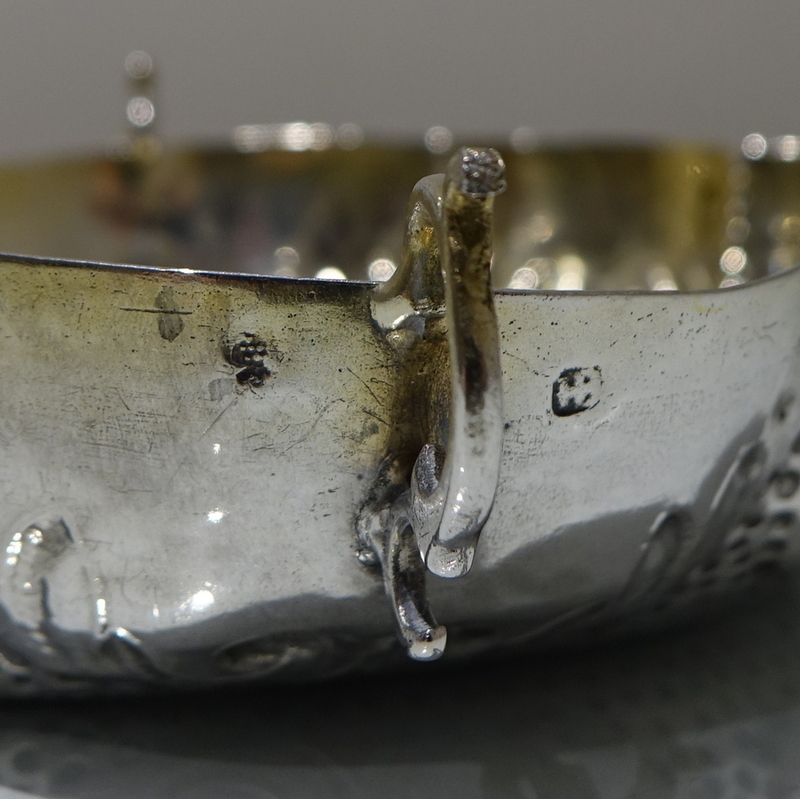 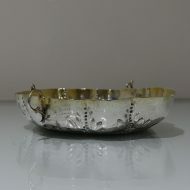 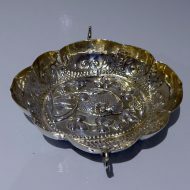 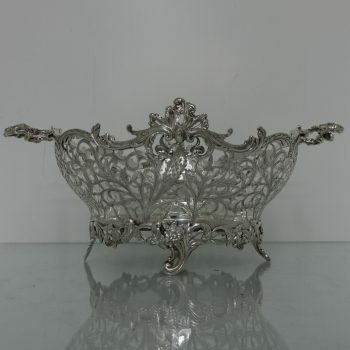 A highly collectable and incredibly rare shaped Augsburg silver wine taster decorated with a central ornate base which is then framed in an oval moulded bead surround. 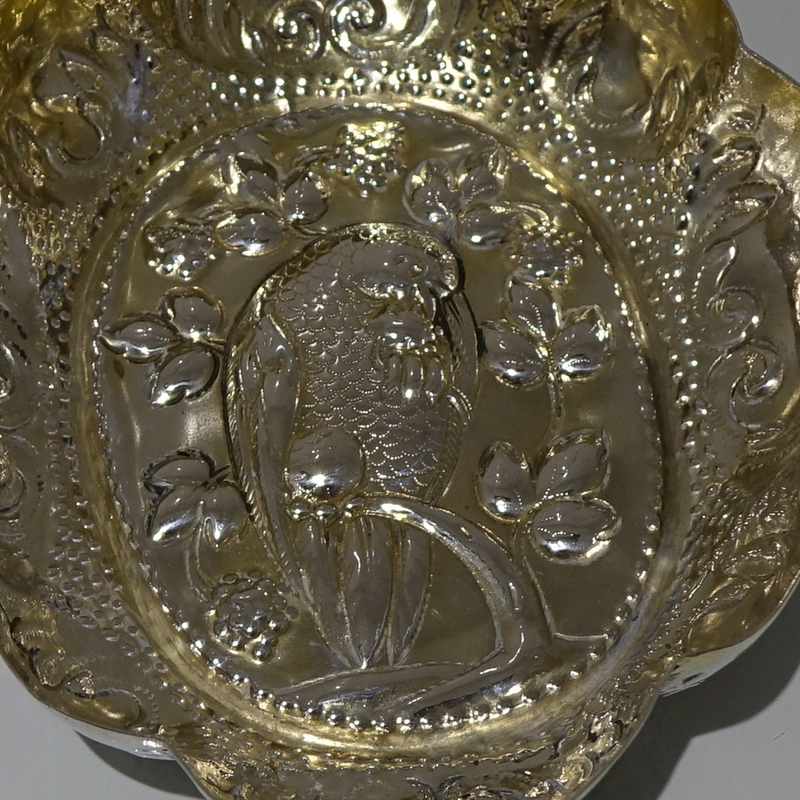 The walls have additional ornate mouldings and the wine taster has been partially gilded for decorative contrast.